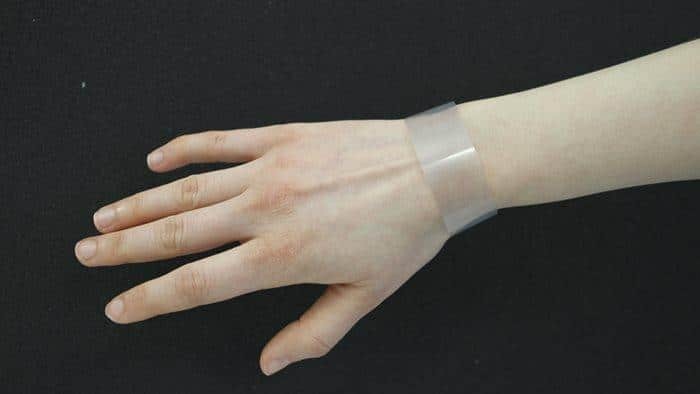 Sunburn could be a thing of the past thanks to a bracelet that lets you know when it’s time to get out of the sun. A plastic strip containing ‘smart’ ink, its blue colour fades and becomes colourless just before ultraviolet exposure is too high, prompting you to move into the shade before you burn. The inexpensive product can be worn on skin with suncream applied, to let users enjoy the rays without taking risks. It is also available to suit three different skin types, making it extra safe and personalised to the wearer. The product is based on a novel area of research called ‘photocatalysis‘ and was initially developed by Dr David Hazafy at Queen’s University in Belfast. Hazafy was awarded the Royal Academy of Engineering’s Enterprise fellowship, which gives academics £85,000 each to develop their research into commercially viable projects, and he co-founded SunCatalyst Laboratories as a result. As skin cancer accounts for at least 40% of all cancers globally, this deceptively simple product might just help tackle a worldwide health problem.